Benoy is honoured to announce its most successful year on record for the firm’s projects at the 2015 MIPIM Asia Awards. Four Benoy-designed projects have been recognised with five awards for excellence in real estate development. The awards were presented as part of the property leaders’ summit in Hong Kong which honours outstanding projects in the Asia Pacific region. This is the seventh consecutive year that Benoy’s developments have taken home the prestigious accolade. 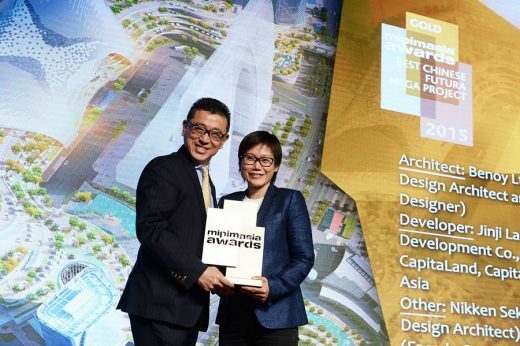 The four winning schemes took home five awards which included Suzhou Center (Gold, Best Chinese Futura Mega Project), Riverside 66 in Tianjin (Gold, Best Retail Development and Gold, Best Innovative Green Building), the recently completed Galaxy Macau featuring The Promenade (Silver, Best Hotel and Tourism Development) and The MixC in Qingdao (Bronze, Best Retail Development). “Benoy’s strength as a multi-disciplinary firm working across the major sectors has shone through with the diversity of the winning projects. From Masterplanning through to Architecture, Interiors and Graphic Design, Benoy consistently delivers forward-thinking designs and has proven once again that our teams are at the forefront of the industry,” concluded Winnie. 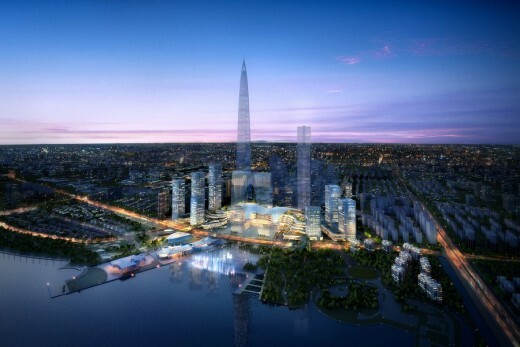 Suzhou Center is a large-scale, high-end integrated development planned on a 16ha site along the banks of Jinji Lake. The development is truly mixed-use and features Retail, Commercial, Residential and a Hotel as well as entertainment and cultural spaces. Benoy’s design celebrates the natural surroundings with landscaped terraces and bridges overlooking the lakeside scenery. The world’s largest free-form monocoque roof structure, spanning over 36,000m2 above the retail component, has also made Suzhou Center one of the city’s most anticipated future developments. Riverside 66, Tianjin is located in the heart of the city’s Haihe Central Business District. The 153,000m2 freestanding mall features seven storeys and is specifically designed to integrate its internal components with the external environment. The unique glass shell design promotes the mall’s diversity, offering a glimpse of the tenants and activities within. On the top floor, the ‘Skystreet’, an entire level of F&B sits beneath a transparent canopy roof. 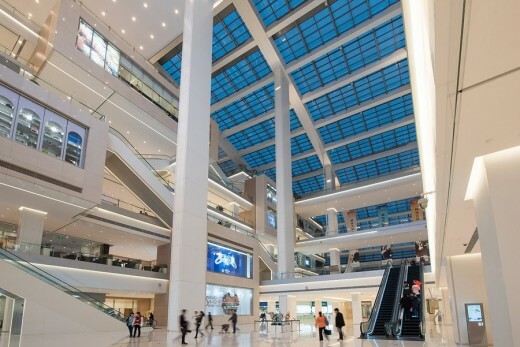 The development has sparked new retail vibrancy for Tianjin’s increasingly affluent community. Galaxy Macau which features ‘The Promenade’ is one of Macau’s most prominent entertainment and leisure developments. 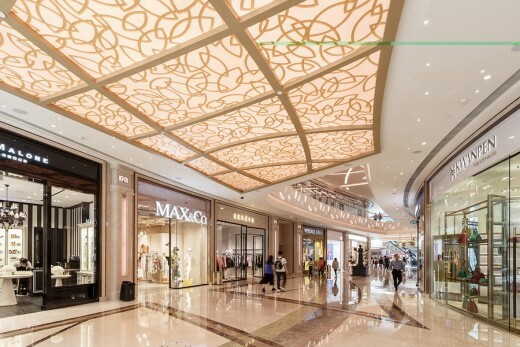 Benoy completed the Interior Design for the expanded retail experience, adding 65,000m2 to complete a 1.5km long shopping journey which loops the length of Galaxy Macau. 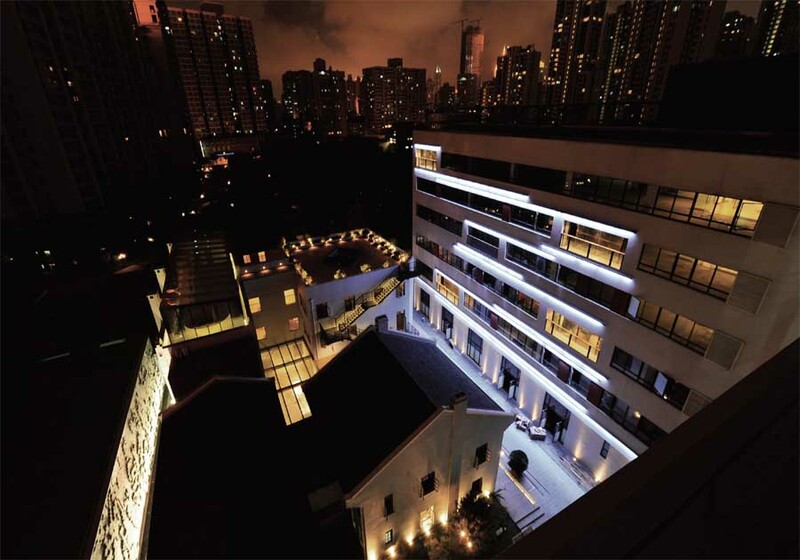 Tactile finishes, natural stone, patterned detailing, soft lighting and 5-Star amenities were introduced to the luxurious design to ensure the retail and hotel areas sit in harmony with each other. 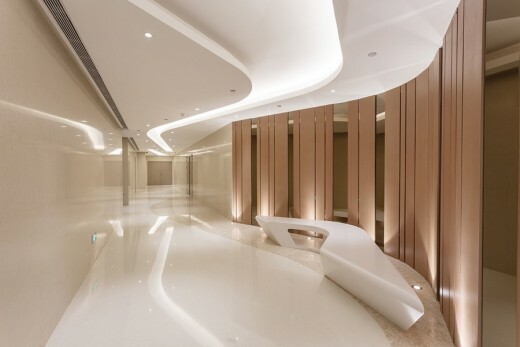 The MixC, Qingdao celebrated its grand opening in April this year and is the flagship development of the China Resources Land MixC Mall portfolio. The integrated retail-led podium has one of the largest and most extensive offers in the country. Covering a GFA of 450,000m2, the mall brings together Retail, Food and Beverage, Entertainment, Education and Culture across its nine storeys. Benoy drew inspiration from Qingdao’s coastal setting and introduced undulating, wavelike forms to bring the interior design of the mall to life.